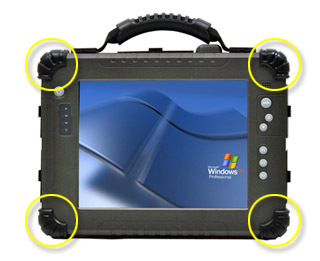 Recently, Winmate has been designed a new protective rubber for our 10.4" Rugged Tablet PC. The new design is based on the ideas of compact and better protection. 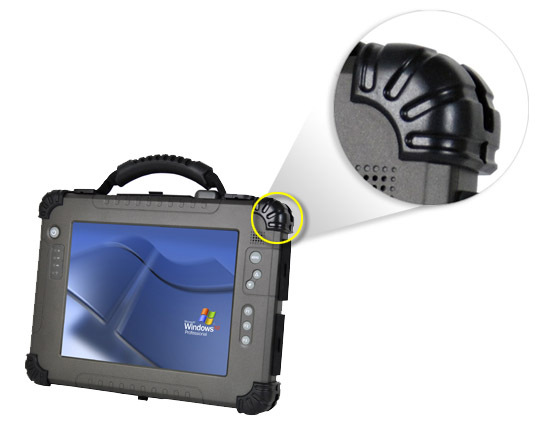 Therefore, integrating the new protective rubber can not only make the shape of our tablet PC looks more compact, but also enhance the protective function. In addition, the new rubber also passed drop test of MIL-810F Standard. 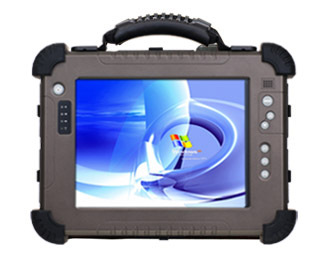 Based on the result of reliability test, we believe that the new version of our tablet pc will bring more benefits to our clients and users.